The 300 is king of the corral in Chrysler’s stable of vehicles. The SRT version adds the performance element that almost any red blooded American would love to own. 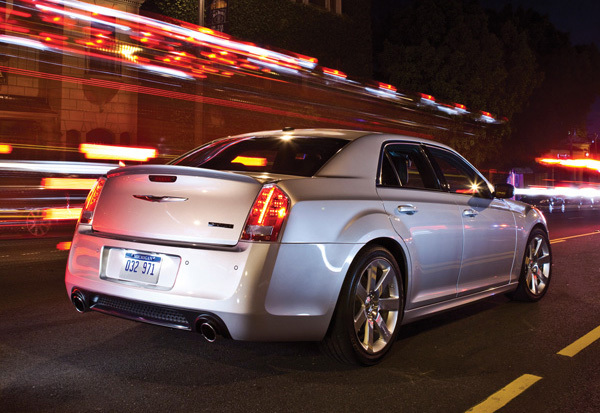 The Chrysler 300 SRT Core edition gets the price of admission down to a point where more of us can afford the ticket. The Core trim level features the SRT 6.4-liter Hemi V-8 that delivers 470 horsepower and 470 lb.-ft. of torque to the rear wheels through a 5-speed automatic transmission. That combo allows this bad boy to accelerate 0-60 mph in the high 4-second range. That’s pretty quick, especially when you consider its 5,330-lb. heft. Heck, that’s only 117 pounds less than a Chevy Tahoe! Where the Core model differs from the Premium SRT is in its accoutrements such as ‘Ballistic’ cloth seating, borrowed from the SRT Viper. You’ll still get the 8.4-inch touch-screen in the center stack but without GPS. Gone, too, is the optional Adaptive Damping Suspension. In its place is a bucking bronco ride, but this is what the Core is all about, a performance luxury car without the frills. Have you found a sexier mid-size, 5-passenger sedan than the all-new Ford Fusion? We haven’t. Not only does the Fusion look good with that bold, open-mouth grille and sleek body, it gets good fuel economy, has enough power and handling finesse to play among the best in its class. There are three trim levels; S, SE and Titanium. 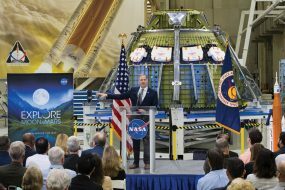 The S and SE get the 2.5-liter 4-cylinder power plant that produces 175 horsepower while the Titanium version is equipped with the 1.6-liter turbocharged engine. Both have similar mileage estimates of 23-city and 36-highway. We prefer the turbo because of its 240-hp and 270-lb.ft. of torque. Depending on how much you want to divvy up will determine whether you get into the base S model or the bells and whistles Titanium beauty. Steering and suspension have that European feel, but tempered by American tastes. The Fusion’s interior does it for us too; clean lines, intuitive controls, nice materials. It also has the My Ford Touch system that, once mastered, you wonder how we got along without it. Pricing is the last part of this Ford’s winning combination. 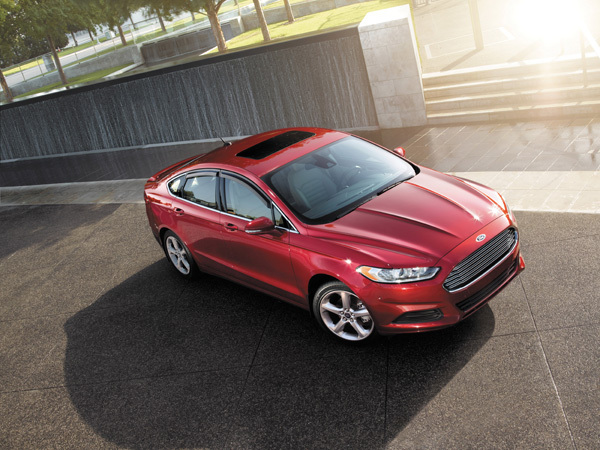 Starting at $21,900, the Fusion puts competitors from Toyota, Honda and Nissan on notice.